She was together with the same alpha male wolf for more than nine years, park officials said. 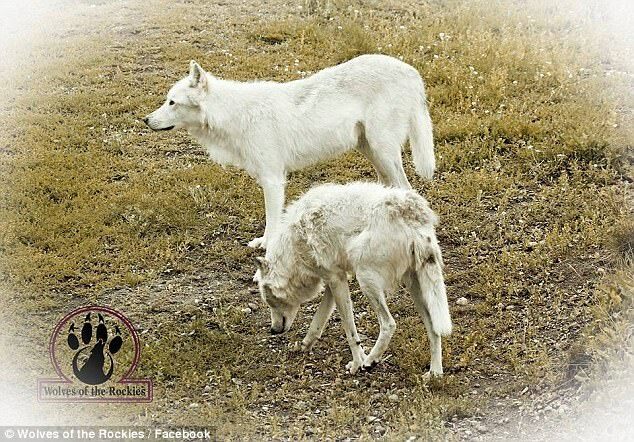 The dead wolf was double the average age of a Yellowstone wolf and had at least 20 pups, of which 14 became yearlings. 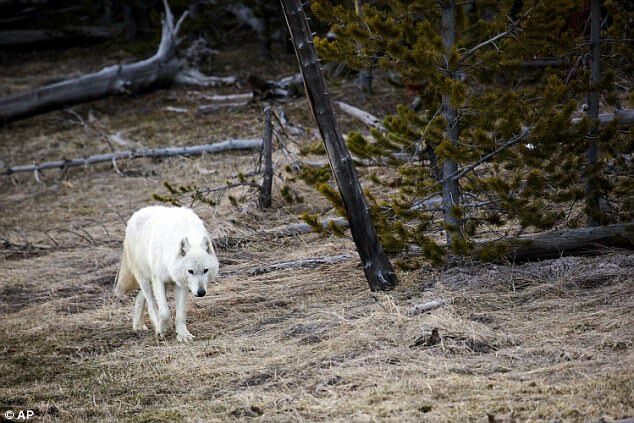 The reward for information leading to whoever shot a rare white wolf found inside Yellowstone National Park rose to $10,000 on Friday after a wolf advocacy group matched a $5,000 reward offered earlier by the park. Park officials have not said whether they have leads in their investigation into who killed the wolf, but Wolves of the Rockies President Marc Cook speculated the wolf's killer was someone angry about the reintroduction of wolves to the park more than two decades ago. "People take matters into their own hands and feel they are above the law and they kind of flaunt that fact that they can do what they want to do and there's no repercussions," Cook said. Park officials also have not commented on a motive for the wolf's killing, but many hunting outfitters and ranchers oppose the presence of the wolves, which now number about 100 in the park. Wolves prey on big-game animals popular with hunters, such as elk, and sometimes kill cattle on pastures outside Yellowstone. The shooting happened at a time of transition for wolves in nearby Wyoming, where a federal appeals court ruled in March that they could be removed from Endangered Species Act protection. Environmentalists had persuaded a judge to put wolves back on the endangered list in Wyoming in 2014. Their concerns included a shoot-on-sight provision for wolves in most of the state, one that does not exist in Idaho or Montana. The U.S. Court of Appeals for the District of Columbia found Wyoming adequately addressed those concerns. Wolves went back off the endangered list in Wyoming on April 25. Reclassified by the state as predators of livestock, they once again may be shot on sight by anyone in most of Wyoming outside Yellowstone, Grand Teton National Park and nearby wild country. Relatively few wolves wander far from the Yellowstone region in Wyoming. 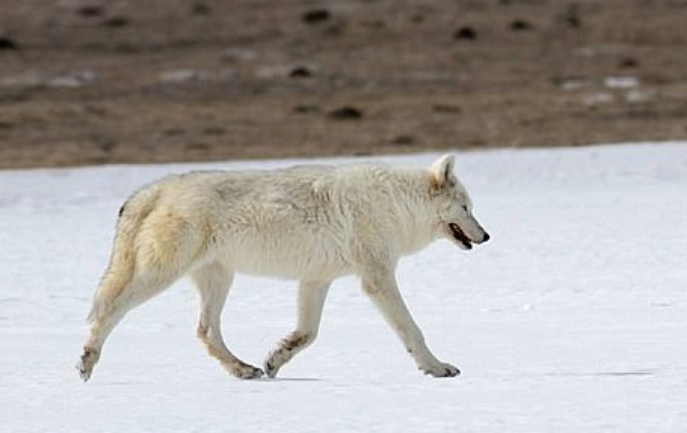 The wolf found shot in Yellowstone was more than 70 miles (110 kilometers) from where it could legally have been shot on sight in Wyoming two weeks later when wolves found there had been taken off the endangered list. Responses to "$10,000 reward offered for killer of rare Yellowstone female wolf"
Good luck..........ranch assoc. has had their way too long. So again, Good Luck.